Sensitive and responsive to get you results. 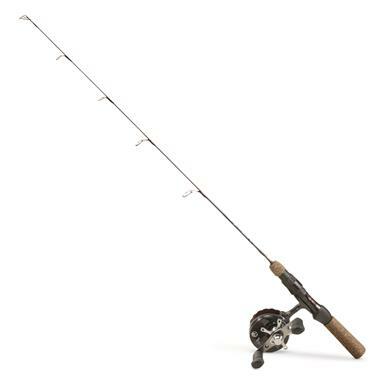 Gear up for your next ice fishing adventure with the dependable, affordable Power Ice Magnum Ice Fishing Rod/Reel Combo. Eagle Claw® Wright & McGill Ice Fishing Rod has an S-Curve blank construction for more strength and better lifting power. It's paired with the Eagle Claw® Inline Reel with a 4+1 ball bearing drive to help you reel in your next catch.